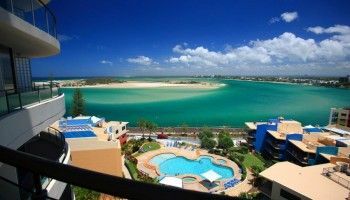 What better Caloundra accommodation for Beachfest is there than the Burgess @ Kings Beach. Of course we might be a little one-eyed about our opinion, but we can’t ignore the satisfaction of thousands of happy guests who have spent their holidays staying with us and catering to Downunder Beachfest goers would be no exception. We’re auto enthusiasts too, and love the five days when Caloundra is host to all those Hot Rods and Chrome Bumpers. Every year without fail we’ve seen Hot Rods and Classic Cars descend on the Caloundra CBD for the Autobarn Show & Shine, and now the show has even expanded onto the Esplanade. It goes without saying that there is always live bands on the streets providing a great soundtrack for the event. Here at Burgess @ Kings Beach you can find us at 70 Albert Street, Caloundra, just minutes away from Caloundra’s main street and Esplanade. Our fully self contained three bedroom apartments are the perfect accommodation for you and the crew to stay. Relax after the day out in our palatial apartments. There’s plenty of room with space for everyone. If you are bringing the family for this Hot Rod extravaganza, there are plenty of other activities in Kings Beach to keep them entertained. 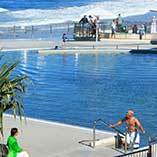 The Salt Water Pools at Kings Beach are a firm favorite with the kids. 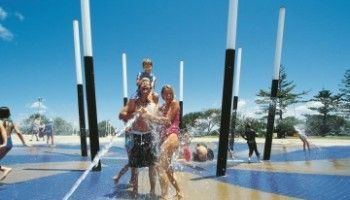 The aqua playground with the time geysers is lots of fun, plus there’s also the kids pool and lots of sailcloth shade and reclined seating for adults to take a load off as well. 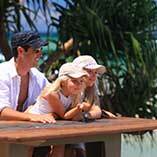 Parents will enjoy this well supervised aquatic environment almost as much as the kids. 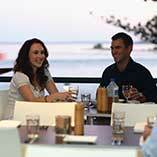 There is a good assortment restaurants and cafes on Kings Beach, you don’t have to go far at all for any refreshments. Our favorite is the Black Jasmine Thai Restaurant. Great for takeaways too if it’s been a long day.